There's kind of a reverse logic at work in Purple Cow, what Godin calls “the lesson of the Cow”, Safe is Risky. 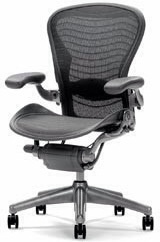 In the early '90s, office furniture was a very mundane business. Offices were furnished by purchasing agents. Their favorite saying was, “Nobody ever got fired for buying IBM”, a safe decision. Furniture was functional, but boring. Safe was functional and boring. What are you doing today because everybody else is doing it and you think it is safe? 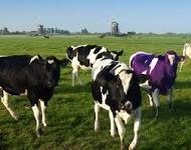 What Purple Cows are out there that might seem risky because others aren't going there, but your gut tells you they're wrong? And what are your going to do about it? This entry was posted in Business, training and tagged business, ideas, improvement, innovation, invent, learning, manage, marketing, Purple Cow, Seth Godin. Bookmark the permalink. Safe??? No one ever discovered a new land by keeping one foot on the shore.